The ¡Así se dice! 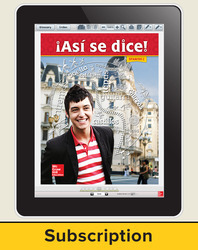 Spanish language program offers courses at various levels of mastery. Each level includes a Student Edition, Teacher Edition, Mobile App, Audio Workbook, and more!